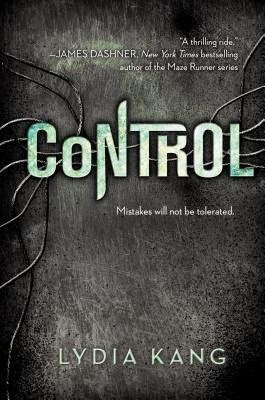 Control by Lydia Kang actually took me by surprise. I had been sort of interested in reading it but hadn’t gotten to it. So with Catalyst coming out, it seemed like a great time since the review opportunity was there. I was hooked on this book, I wish I had read it sooner. There was so much Science in it! It was fantastic but it also had that perfect amount of thriller going on. Where there is a ticking time clock to save Zel’s sister Dyl. Zelia and Dylia are two sisters that have always been on the move with their dad, every 10 months to be exact. When a terrible accident takes their fathers life and sets into motion Dyl’s kidnapping. Zel is thrust into a world of X-men come to life. Her mission becomes to find Dyl and get the hell out of dodge but things are never that simple. What really drew me into Control was the Science behind it all. How often they worked in the labs and explained what they were doing. They really give you glimpse of how the different traits work and why. What happened to the DNA. It was extremely cool and very interesting to read. I like Zel because she is feisty, even though she is also insecure. She has a good head on her shoulders and knows her way around a lab. I loved that she is able to easily matched wits with Cy. She really keeps her focus on saving her sister and doesn’t let anyone get in her way. She also takes some time warming up to the other characters. Which was good to see because who walks in and just loves everyone instantly. I’m a lover of the hate/love relationships. I admit it, I like when two characters are battling one another and then find that their battles are routed in attraction. I felt like we slowly got to know Cy and for the first part he kind of just waltz in and out with his snotty remarks. I think the club is when he really comes out of his shell and it was sweet to see them awkwardly stumble towards a relationship once they figured out their feelings. Another cool thing about the characters is that their special abilities that come from genetic tampering aren’t always pretty. Wilbur has a second head...sort of...Hex has four arms and Vera is green. I liked that they were more unique. There were some things that I saw coming at the ending and at times I wanted to smack Zel and say what are you doing. Her drive to save her sister is admirable though. I have to say that I really enjoyed this read and if you are lover of Sci-Fi and enjoy the genetics side of it. Definitely pick this up. It was very well thought out.